ArtWorks Cymru is an organisation of creative industry artists that focusses on developing skills in participatory settings, and is headed by Rhian Hutchings (of Operasonic). Members include the Welsh National Opera, Ballet Cymru, Ffilm Cymru Wales, Literature Wales, Nofitstate Circus and Theatr National Cymru. The organisation also supports professional development of artists at different stages of their careers. 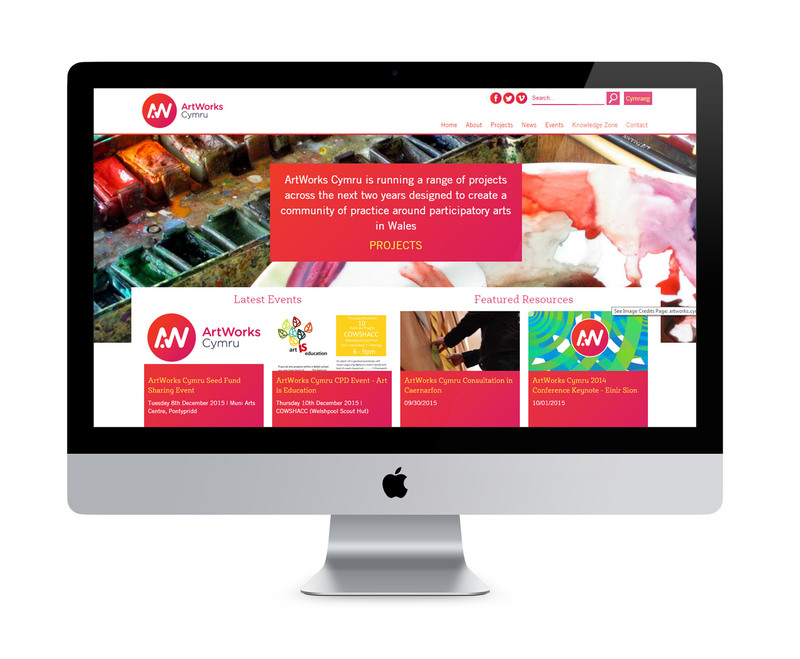 After splitting from their parent organisation, they needed to establish a fresh, modern brand that embodied the theme of networking and change, as well as a fully responsive website that hosts their ever-expanding resources. First we designed the organisation's new branding (in a range of colourways), then proceeded to build them a Content Managed website. 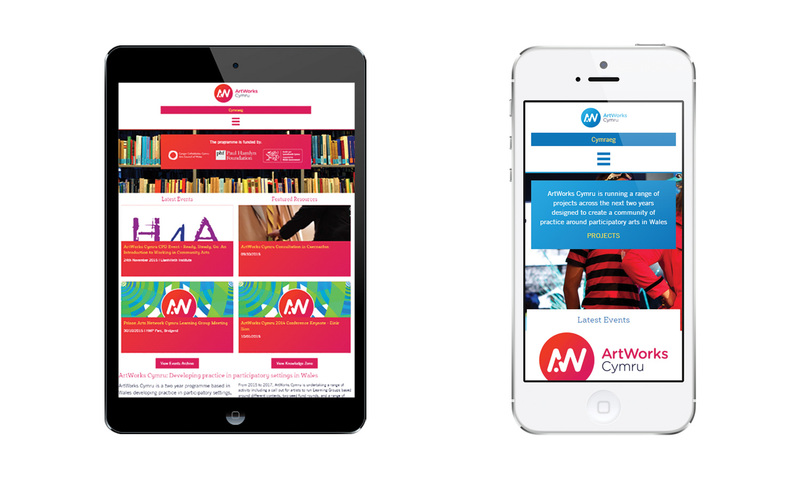 The ArtWorks Cymru site can be viewed here. 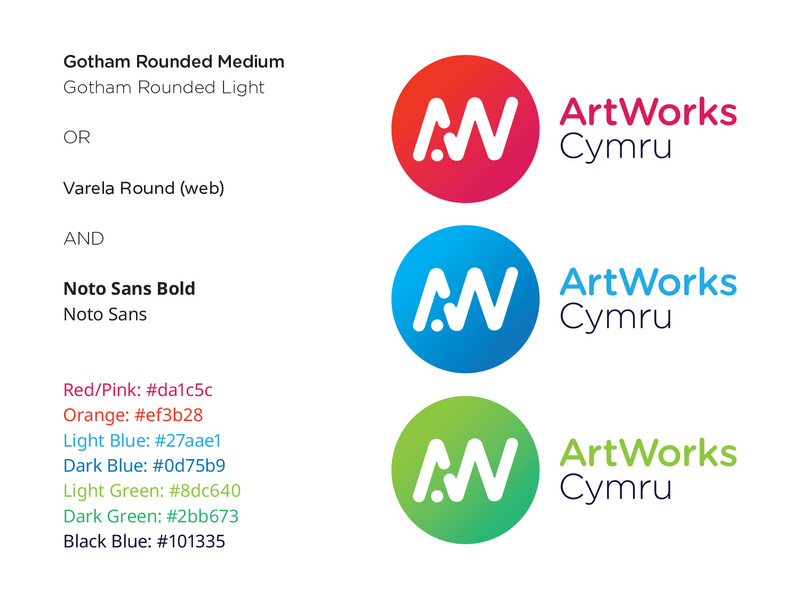 ArtWorks Cymru brand guidelines and colours. Networking, change and a sense of energy were key to their brand message — A far cry from the idea of "traditional" art-based visuals. We designed a built a fully responsive website with a Content Management System (CMS), allowing the client to update pages and resources simply and quickly. It also picks a random colour theme upon first visit. Neat! From pencil and paper, to digital mockups, to HTML & CSS code we utilised a 12-column grid in order to keep things clean and tidy as the primary purpose of the site is for cataloguing and displaying curated resources.